A recent news from FudZilla suggests that ARM mobile processors are soon going to hit the 3GHz mark. Companies like TSMC and GlobalFoundries are expected to start producing the new generation of ARM chips based on the 20nm architecture in early 2014. Currently, the highest attained clock speed for an ARM mobile processor is 2.3GHz, attained by Qualcomm’s 28nm Snapdragon 800 processors. The new manufacturing process will allow significant clock speed increases and performance boosts, while cutting down power usage. The increased transistor density will allow more transistors within the same die area. It’s highly likely that companies would want to use the extra space to place more graphical processing unit cores inside SoC-s.
At the moment, various rumours suggest that Nvidia is planning to put whole Kepler (the core architecture of Nvidia’s latest generation desktop and laptop GPUs) cores inside the next generation ARM mobile processors, which would be an amazing news, promising huge graphical performance improvements from the present generation. Since the chips are also anticipated to be 25 percent more power-efficient, consumers will have to worry less about the battery lives of their smartphones, as short battery life is still a major issue for most smartphones. 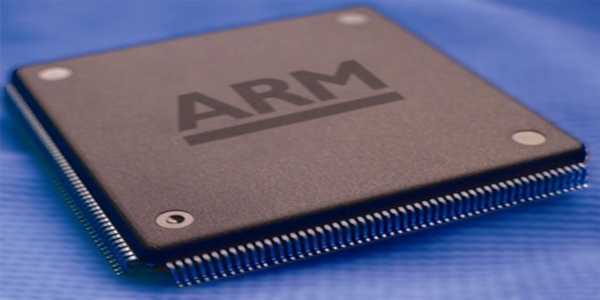 With the next generation chips, ARM is visibly trying to gain a huge competitive edge over companies like AMD and Intel that produce x86 threats. But AMD and Intel aren’t inactive as they too are planning to come out with even better 14nm chips in late-2014. How do you think the evolution of mobile processors will be in the near future? Do let us know via comments below.